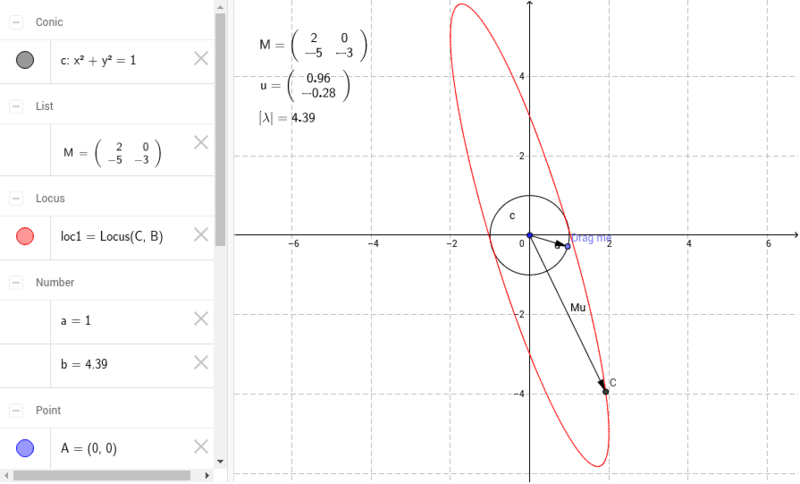 Drag the point "Drag me" at the tip of the vector u until the vectors u and M u are parallel. At this point, the relation M u = lambda; u is satisfied and u is an eigenvector and &lambda; is an eigenvalue. If M u and u point in the same direction, then lambda; is positive. If M u and u point in opposite directions, then lambda; is negative. You can introduce a new matrix by editing M in the Algebra View.